Every year on the 11th of July, the United Nation's World Population Day is the day to reflect upon population issues concerning people from all over the world no matter their background. This year's topic was sexual reproductive rights. The programmes run by awarenet try where possible to include the subject of reproductive rights and the obstacles women in particular face in accessing these. It was therefore natural for awarenet to participate at the World Population Day event organized by the Department of Social Development in Sarah Baartman District. 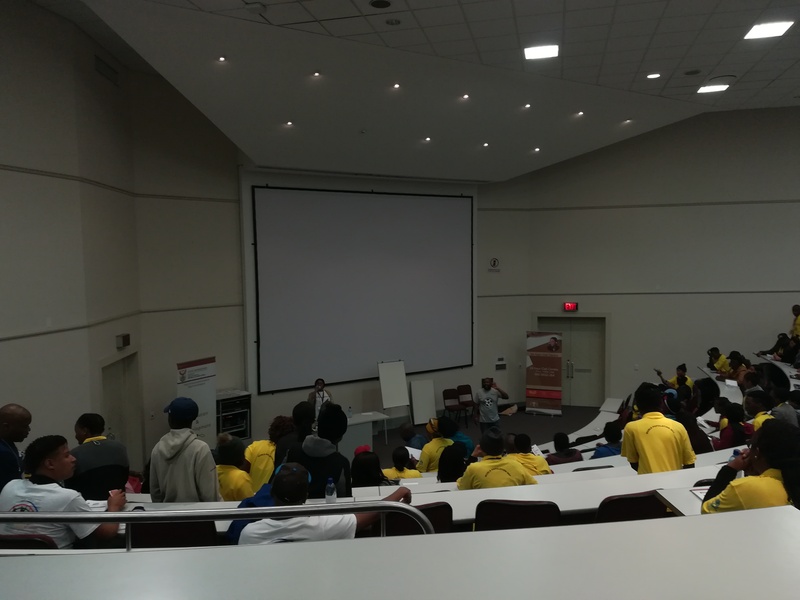 A large number of youth leaders from the district were attending this event held at Rhodes University were they were conscientised about how to access the reproductive rights they are given by the South African Constitution and general legislation. awarenet was present with a stand containing flyers and posters introducing our organisation. We had a good time interacting with a variety of government officials and youth. They were all interested in the work we do with disadvantaged learners in Grahamstown and we made common plans to include more government entities and local youth in awarenet activities. This entry was posted in events, Rhodes University, World Population Day. Bookmark the permalink.